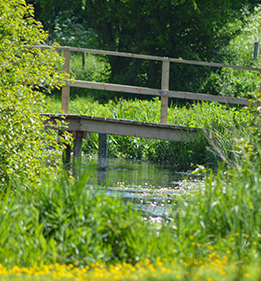 On the eastern edge of Marlborough, there is a green space with the River Kennet running through it known as Stonebridge Wild River Reserve. The reserve is made up of two parcels of land, the north bank leased from St John’s Foundation Trust since 2009, and the south bank owned jointly by ARK and Marlborough Town Council since 2011. The land on the south bank is known as Stonebridge Meadow. Before 2009 both banks were fenced off with no permitted access other than the public footpath to Poulton Footbridge. 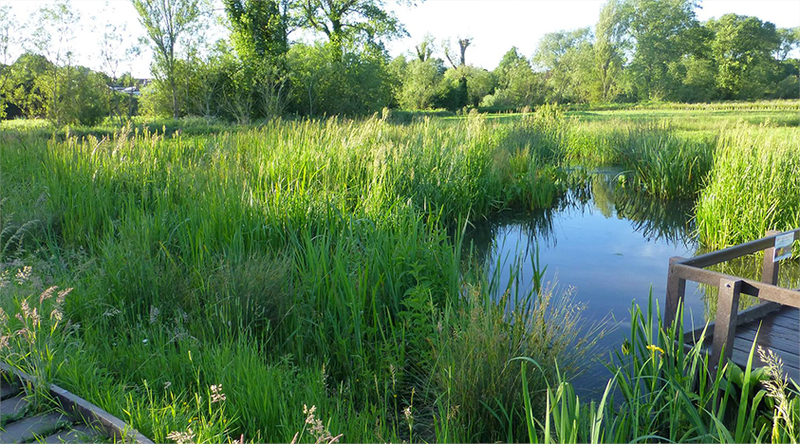 Now the site is open as a wild river reserve, a new space where people can witness the amazing diversity of wildlife in and around a chalk stream. 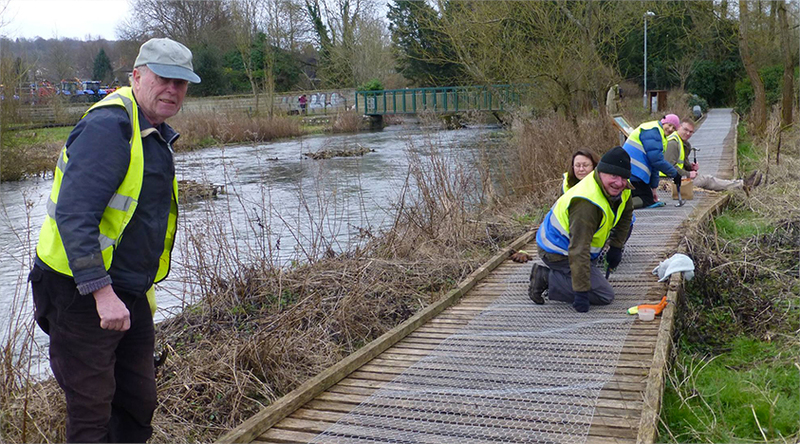 The wooden boardwalk on the north bank has created wheelchair friendly access along a beautiful stretch of the river leading to a seating area and interpretive panel from where you can regularly see Watervole, Heron, Little egrets (view video) and Kingfishers. 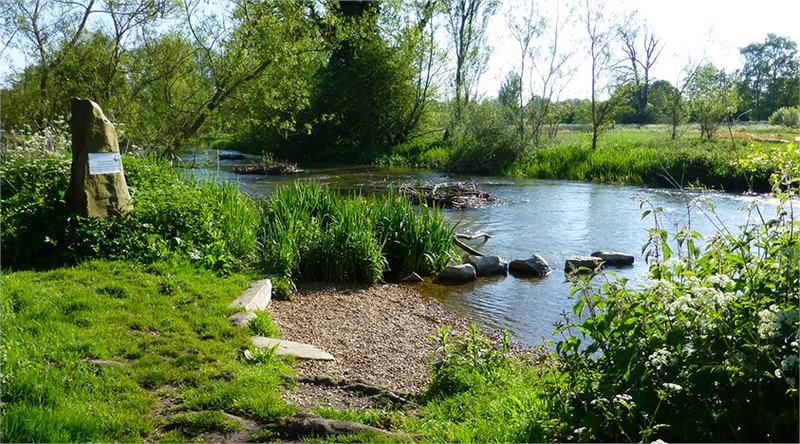 A gravel ‘beach’ area has been created to allow easy access into the river for those wanting to explore and paddle. 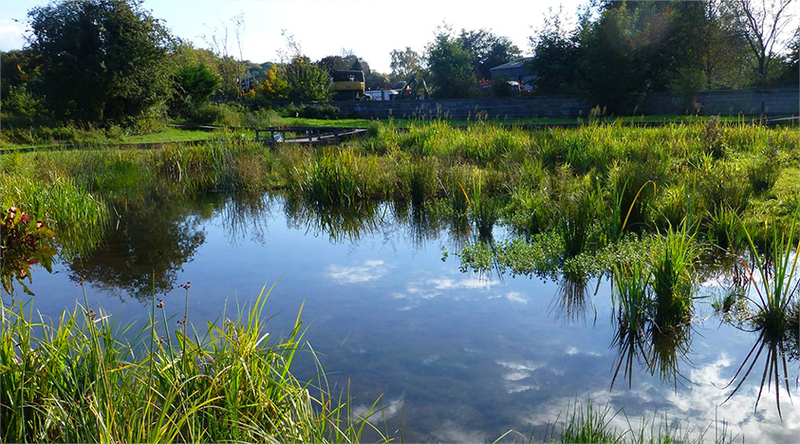 With advice from the Wild Trout Trust, we have completed award winning work to improve the river habitat for both wild brown trout, and other wildlife in the river. 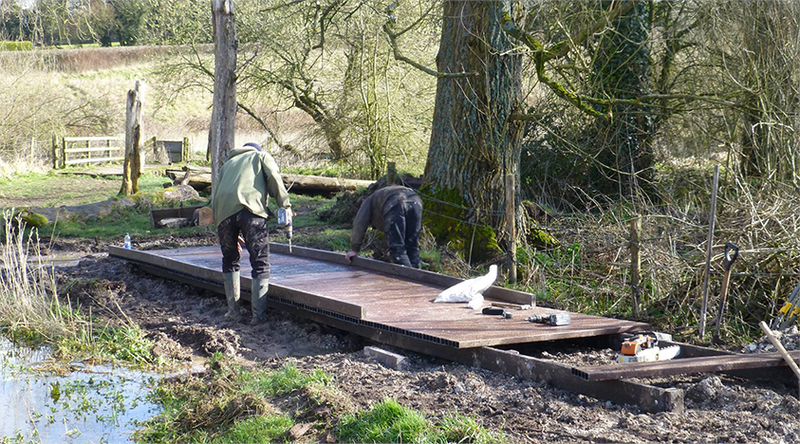 On both banks, and particularly in Stonebridge meadow, we have increased access and worked to improve biodiversity. We manage different areas within the meadow in different ways, helping to conserve and enhance the rich biodiverse qualities of the meadow. Making this area a special place within walking distance from Marlborough High Street for all to enjoy. 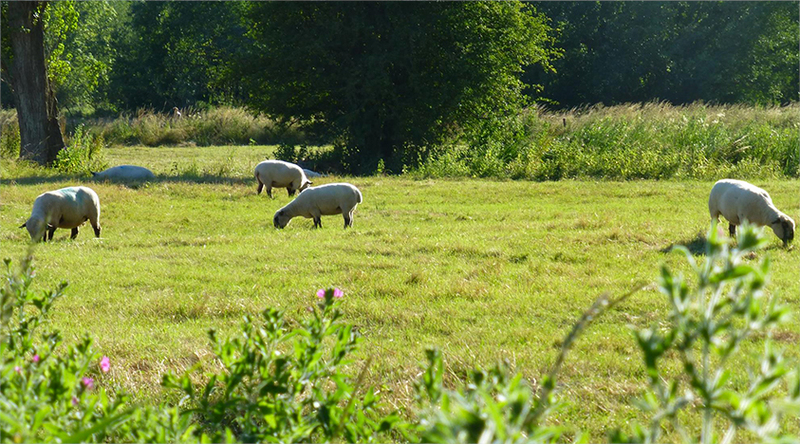 Stonebridge Meadow is managed in partnership with the Town Council following a jointly approved management plan. 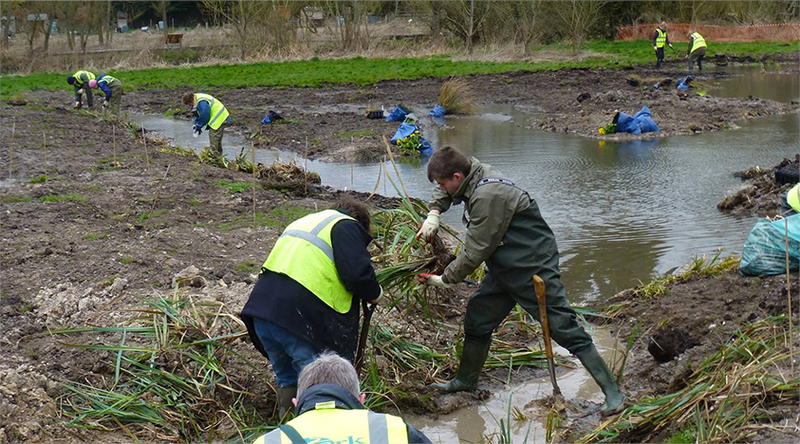 The management of the meadow is overseen by a partnership committee with representatives from both ARK and MTC. Click for Management Plan Summary. 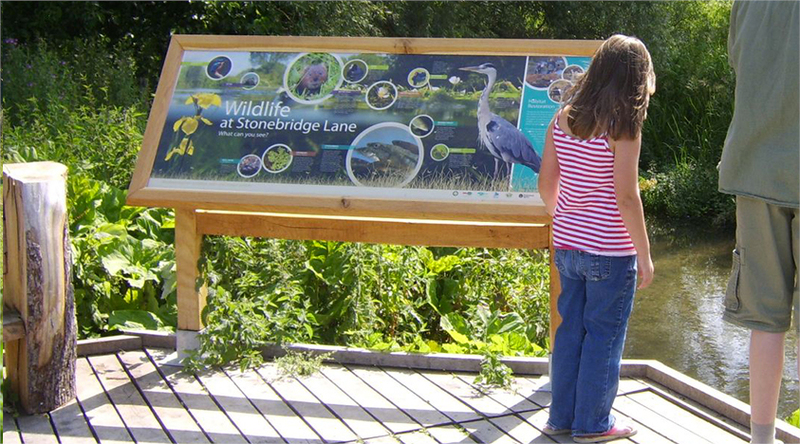 Stonebridge Wild River Reserve officially recognised as a Wildlife Site. To read the minutes from the latest Stonebridge Management Committee meeting please click here.